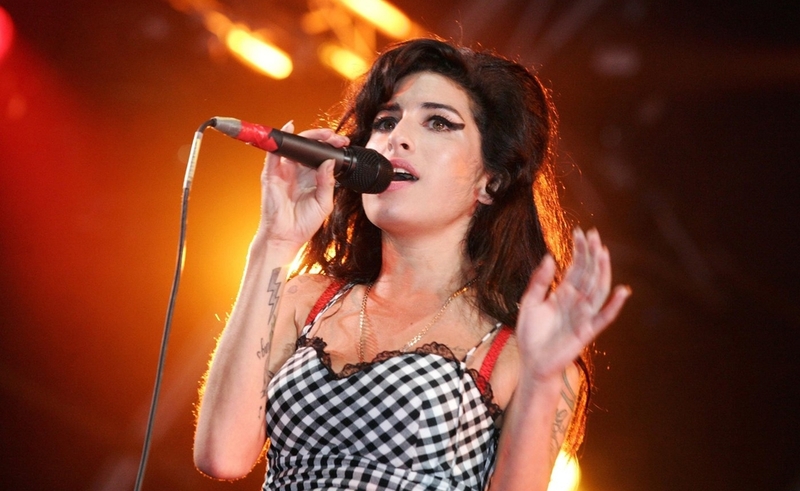 When Amy Winehouse died of alcohol poisoning on July 23, 2011 at the age of 27, the world did not recoil in shock. Winehouse became an international star with her 2006 album Back To Black, but her ascent was accompanied by reports of hard living and a messy personal life. It didn’t take long for the tabloid-feeding aspects of Winehouse’s life to eclipse her extraordinary artistic accomplishments. A jazz singer of great versatility, Winehouse broke into the pop market by channeling her voice and deeply personal songwriting into a sound rooted in classic soul and girl-group pop that nonetheless felt like exactly what the ’00s had been missing. But a gulf soon opened up between the human directness of her art and the images of a zombie-like Winehouse wandering London in torn clothing, sometimes bleeding, sometimes accompanied by her on-off boyfriend (and later husband) Blake Fielder-Civil, sometimes alone apart from a security retinue. Reports from inside Winehouse’s Camden flat described her as living in squalor, and as her alcoholism, drug addiction, and bulimia became public knowledge, she became an easy punchline, the shaming, go-to example of what bad living could do to the careless. A sense of inevitability accompanied her death. It was always going to happen—just look at her—and then it did. It’s much to the credit of Amy, a new documentary about Winehouse from Senna director Asif Kapadia, that the film restores a sense of Winehouse’s humanity. It wasn’t some caricature of excess who died, but a woman of unique gifts, with people who cared about her and a private life the public didn’t entirely know. Nor was her death necessarily unavoidable. Part of what makes Amy so sad are the moments that point to paths not taken and choices not made—often by those around Winehouse—that might have changed the course of her life, and that could have prevented her from joining what Kurt Cobain’s mother called “that stupid club” when her son died at 27. Kapadia achieves this, as with all of the film’s effects, subtly, and without offering any direct commentary. Amy weaves together home movies, TV appearances, and paparazzi footage, bringing in new interviews with key players but keeping them off-screen. No one here is allowed to take over the narrative, and on more than one occasion, their accounts conflict or stand in contrast to what archival footage shows. Some of the most wrenching contributions come from childhood friends, first glimpsed in footage from a teenage birthday party in which a 14-year-old Winehouse floors everyone with a song. It’s far from the last candid moment the film preserves. Behind-the-scenes footage shows Winehouse nervously prepping for gigs as her early manager Nick Schmansky jokes with her as a way to boost her confidence. Schmansky was 19 when he met Winehouse, then 16, and such scenes play like kids who have no idea what they’re doing getting pulled toward fame by the magnetic force of Winehouse’s talent. They also play a bit like a horror movie, with each early success bringing her closer to what everyone watching knows is her inevitable fate. In time, the home movies give way to scenes captured by photographers stalking her every move, muscling into her personal space as she walks down the street to the accompaniment of clicks and flashes. Then these give way to concerned news reports and footage of a disoriented Winehouse unable to perform in front of crowds that quickly turn hostile. As to what brought her to that place, some of the least-convincing contributions come from Mitch Winehouse, the father Amy trusted but who can be seen time and again making questionable decisions that appear more motivated by material gain than his daughter’s well-being. (Winehouse’s biggest hit, “Rehab,” immortalizes his judgment with the line “my daddy thinks I’m fine.”) Would Winehouse’s story have turned out differently if one of her most trusted advisors wasn’t a man who would show up at the island retreat she went to to get away from drugs with a reality-show film crew? Or a manager who tried to placate Winehouse’s friends with the assurance that many high-functioning professionals use heroin so they shouldn’t worry so much? Yet the film isn’t about Winehouse’s victimization, at least not entirely. For all the bad influences in her life—and the damaged rasp of the unseen Fielder-Civil’s voice makes at least one of those influences seem downright ghoulish—and for all the biographical details revealing a broken home and self-destructive habits that began in Winehouse’s early teens, the film also captures the central mystery of how her demons related to her art. In one moment, Winehouse talks about how she lives for music. In another, she tells a friend on the night of her triumph at the Grammys “This is so boring without drugs.” She practically breaks down in awe singing a duet with Tony Bennett, but spends years failing to get it together to record material that might have allowed her to have a career like Bennett’s, instead of leaving behind two albums, dozens of imitators, and a lot of unanswered promise. She was, the documentary argues, a complex artist, one of awe-inspiring talent and many frustrating contradictions, and one who deserved better than to become just another punchline on her way to the grave. Kapadia provides a heartbreaking reminder of what we lost when we lost her.